Jillie Jayroe is self-publishing a book with Outskirts Press, and she wants your help deciding her upcoming book cover. You probably think this book will be all catfights and ugliness from one woman to another. Not true. To be fair, I asked all of Anna’s exes what her story was and received numerous versions that bordered on either sainthood or insanity. 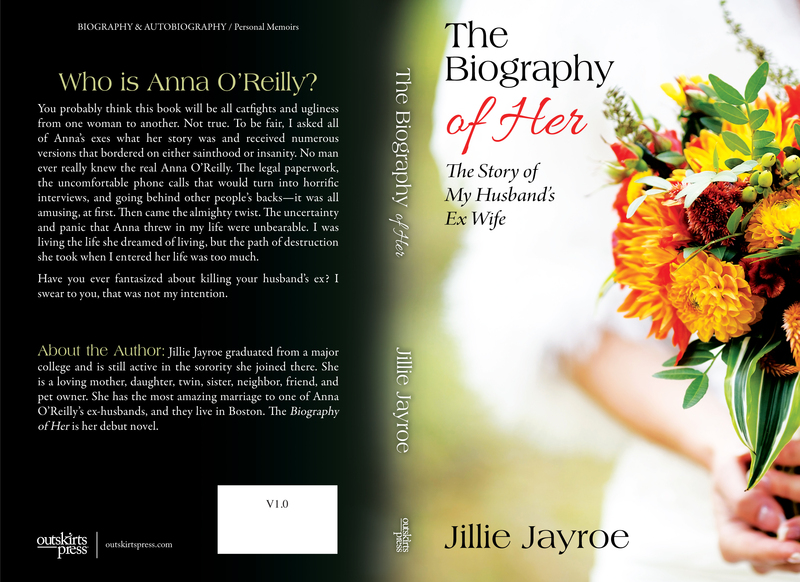 No man ever really knew the real Anna O’Reilly. The legal paperwork, the uncomfortable phone calls that would turn into horrific interviews, and going behind other people’s backs—it was all amusing, at first. Then came the almighty twist. The uncertainty and panic that Anna threw in my life were unbearable. I was living the life she dreamed of living, but the path of destruction she took when I entered her life was too much. Have you ever fantasized about killing your husband’s ex? I swear to you, that was not my intention. Jillie Jayroe graduated from a major college and is still active in the sorority she joined there. She is a loving mother, daughter, twin, sister, neighbor, friend, and pet owner. She has the most amazing marriage to one of Anna O’Reilly’s ex-husbands, and they live in Boston. 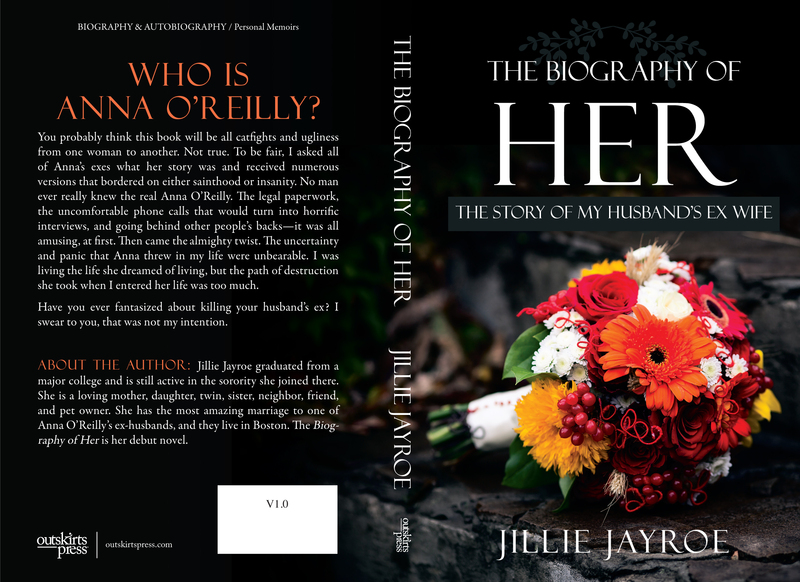 The Biography of Her is her debut novel. Please take a look at the two possible covers below and then vote on the choice you recommend. Click on the thumbnail below to enlarge each cover.